Take one part naughty DMs, add one part mom who is easily shocked and embarrassed, and you have the makings of a new feature where the most prudish mother of a cast member reads the raciest direct messages of another cast member. 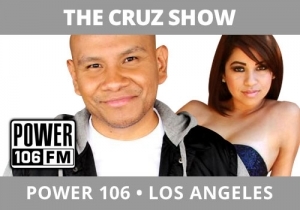 Enter The Cruz Show, Power 106, Los Angeles who developed the idea because cast member Krystal keeps getting highly suggestive messages from male listeners who follow her on social media. It’s one thing to just read them and out the guys. It’s an entirely different idea to have Cruz’s mom read them (without having seen them before) and allowing her to be shocked and react naturally. The goal is to connect and entertain. In one short break, this does that magnificently.